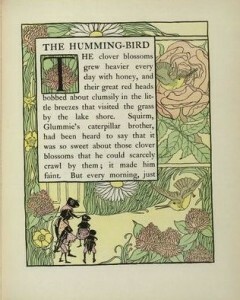 In a plea for relief from the law, the printing industry reminds us that the world of printed material for children is a big and diverse one: any exemption narrowly drawn to cover bound books alone will expose to the law’s full and often prohibitive rigor a whole world of paper and paperboard wall posters, party invitations, thank-you cards, educational pamphlets and supplements, puzzles, leaflets, Halloween and Thanksgiving decorations, writing pads, folders and other back-to-school supplies, stickers, origami paper, Sunday school collection envelopes, mazes, score-keeping tallies, tracts, calendars, maps, home-school kits, Valentines, sticky notes, napkins and placemats, trading and playing cards, and much more. (Update: more from PIA). This teacher is working to give her students a rich, well-rounded education and she finds older books very useful in her classroom. Meanwhile, her experience confirms my own: children just don’t eat books. Jacobsen wonders whether Henry Waxman has talked to many teachers about the law, and whether it would change his mind if he did. Another group hit by the law, many of whom sell in smallish quantities not well suited to amortize the costs of a testing program, are the suppliers of equipment for school science programs. Is there a “Teachers Against CPSIA” group yet? And if not, why not? CPSIA is a diversionary tactic. I was disabled by toxins in 1985 while teaching school in Mississippi- but it was not from books. The USAToday series on the “Smokestack Effect” shows a more pressing problem of toxic air outside schools located near toxic landfils and factories. Neither was I injured from those sources. All this ruckus about potential toxic books and toxins outside our schools is so no one will pay attention to actual injuries from toxins used IN our schools. Now that the Stimulus Bill is being doled out for school renovations, we need to know who and what is really endangering our schools — toxic corruption. Politicians throwing good money after bad and throwing out our children’s books will not save our children from toxins. You will. Follow the money, pay attention, and keep reading this website. Good work Walter Olson. I think that given Nancy Nord April 3 statement regarding the youth ATV and motorized bile industry I could find encouragement that there is a voice of reason at the CPSC. In my unscientific survey there is little knowledge of the broad scope of the CPSIA among the general populace. This is why you haven’t seen other groups formed. Most people (icluding church thrift shops, libraries, schools, etc.) do not think the law applies to them or think that there is a year to react. Just this week I saw a picture in my local weekly paper of three little girls bedecked in rhinestone studded costumes for the upcoming Irish Dancing World Championship in Philadelphia. Where are the Certificates of Compliance for these costumes? You and I both know there aren’t any. And I bet some were made just for this upcoming event after the dreaded February 10th. I checked with our local library and was told that the CPSIA law did not apply to them. “They would have to close the children’s library if it did and that there is not enough lead in books to hurt anyone. ” Also I picked up a pamphlet from our city’s park and rec. In it was a class for kids garage sales to sell “such items as clothes, toys, books, dvd’s and other kid treasures.” So I guess this law does not apply to city government. Nice to know. Why haven’t teachers been upset at CPSIA? The answer is the same as that to the question “Why hasn’t the ALA been a hell of a lot more pissed about CPSIA?” Librarians and teacher’s unions have previously been aligned with the other groups supporting CPSIA. They still don’t believe that after all the back-scratching they’ve done for these groups, they’re still being thrown under the bus in a power play. I got in touch with their contact guy last week, and he replied that they didn’t have to worry for now because of the one year stay. (I replied with the corrected info but haven’t heard back yet.) He also said that they had not yet received any guidance from CPSC. Not surprising. If Congress and CPSC insist on enforcing the law as written, schools and children’s library departments will not be able to function – the disruption is almost hard to imagine. But if they grant them an official exemption, what does that say about their commitment to safety? Kids in the U.S. spend well over 1,000 hours per year in school not to mention the time on the school bus, playing fields and playgrounds, and at home surrounded by books and supplies furnished by the school; if lead in things like books and math manipulatives and bulletin board decorations and science lab microscopes is so terrible we can’t risk selling them without repeated testing and certification and tracking data, then how can we justify letting children spend so many hours immersed in these untested products in a place we REQUIRE them to go? And wouldn’t a school bus be a children’s product, since that’s unquestionably who primarily uses it? If you think it’s tough to make an ATV without some lead, try making a bus. I do wish the schools and libraries would join in fighting this law. We’d do a better job of protecting kids if we targeted products with a track record of being dangerous and beefed up the enforcement of existing lead laws. And if we continued efforts to clean up lead paint, which remains the number one source of lead poisoning for kids. Forcing CPSC to wallow in paperwork and spend millions of hours sorting through details about unnecessarily affected products and industries does no one’s kids any good. I don’t know if “The Dominion Post” has the article on-line or not, but we picked up a paper today and it was front page news–“Law misfires, bans kids’ ATVs” and included some qoutes from Sen. Jay Rockefeller that were new to me–something he apparently emailed the newspaper. You’ll want to read it if you can! http://www.dominionpost.com is the website. Hope you can find the story on-line! If not, get in touch with me, and perhaps I can scan it in for you.